One of the most intriguing reasons to purchase a new car over a used one, is the freedom of choice. New car buyers have complete control over their new car purchase - from the exterior color, optional features, and even what sits underneath the hood. Online car shopping brings this ability to control your car purchase to a whole new level, by allowing consumers to virtually build their car, to their exact specifications. For some buyers, researching and choosing every aspect of your vehicle is a fun, and an exciting part of the new car buying process. For others, it requires too much thought, and the entire task can seem more tedious than fun. While the majority of new car buyers love the freedom that comes with customizing their new vehicle purchase, there are a few buyers who would love to buy the perfect car for their personality, without even thinking about it. 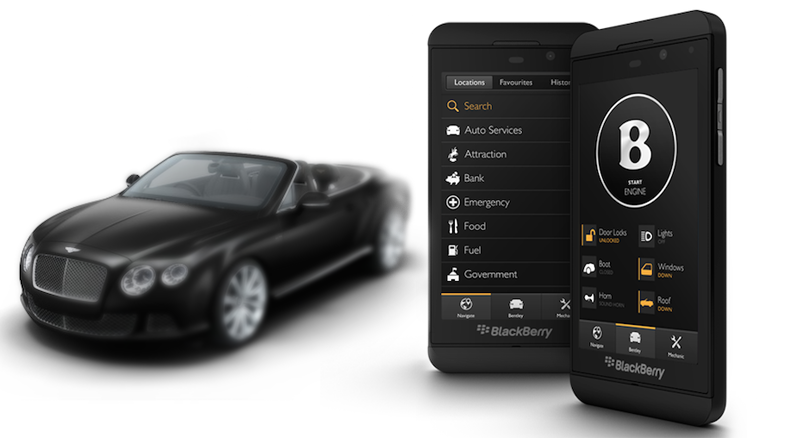 Bentley, one of the top luxury automotive brands in the world, has created an app for that majority car buyer. The Bentley Inspirator App allows potential car buyers to watch a simple video, and be presented with the “Perfect Bentley” for their personality. The idea may seem ridiculous, and maybe it is. But for those consumers who are struggling with the decision between a gray or black exterior, may not find it so preposterous. Potential Bentley buyers can simply download the Bentley Inspirator App, and watch a short video. The app utilizes the front camera on your smartphone, and records your facial expressions while you view the video. After monitoring your reactions, the app then interprets how the movie clip made you feel, and then suggests the perfect Bentley for you. The short clips are narrated by a man in a black turtleneck, who stresses the importance of design and inspiration. Images of architecture from around the world, perfectly combed beaches, and other emotion-evoking backdrops are shown. The app then uses the camera on your smartphone to measure your facial expressions with 200 touch points on your face. As the viewer reacts to the content of the video, their facial expressions are analyzed, and the film changes its narrative based on those reactions. At the end of the emotionally-charged video, the app suggests which Bentley is right for you, down to the exact color choices and options. Bentley’s new app is essentially an intuitive piece of technology, helping those who can afford to purchase the British-made hand-crafted vehicles, a shot at getting it right. After all, if you plan to spend as much on a car as most people spend on their first home, you don’t want to regret any aspect of your purchase decision. The app may seem frivolous, but that is the very thing the Bentley brand is built upon. Then the app is a fun way to see just how intuitive this technology really is. Or, maybe the short film and analysis will help determine if you should buy your Chevy Cruze in red, or black.